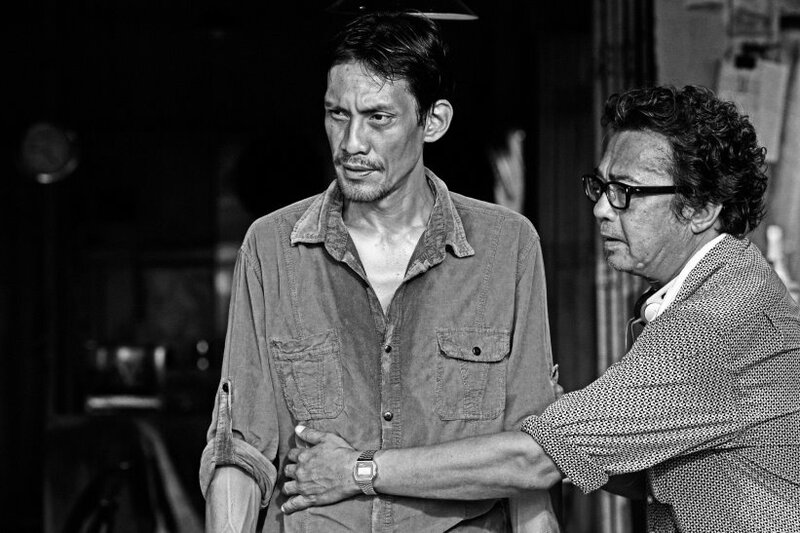 This is a local Malaysian production film which seems quite interesting from the trailer. But don't ask me whether the film was good or not because I haven't watch it. The movie was originally titled as Bunga Lalang. 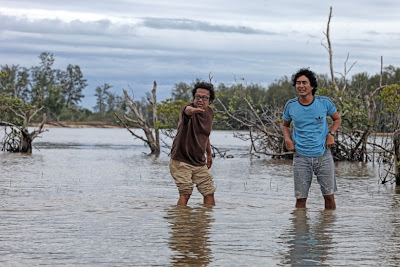 But later changed the more aptly named title Bunohan when he stumbled on a place named as such in Kelantan with the help of the locals. 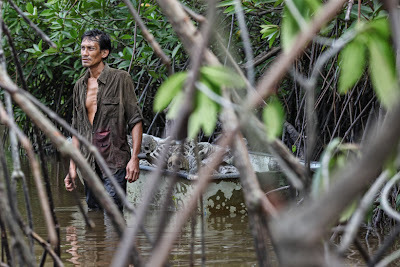 The story was about that town itself, Bunohan in Kelantan where 3 estranged brothers, Adil, Bakar and Ilham, and their ailing father caught in the web of deceit and corruption. Adil, who's a kickboxer, fled from a deathmatch in Thailand and was being pursued by Ilham, who's a hitman sent to kill him. The cat and mouse pursuit has landed both of them into the village of Bunohan where they walked right into the shady scheme of Bakar, an ambitious businessman. With the return of the 3, it has unraveled some secrets of the past of Pok Eng, their father, who's a wayang kulit (shadow puppet) master. This leads to each man's unfulfilled struggle for reconciliation and forgiveness but with much violence of loss, betrayal, corruption and murder. This movie was delayed for a year due to the first bank's procrastination on dispensing the funds in which another bank that began a film financing scheme has saved their production from further delay and got the project moving along. The writer and director of the movie is Dain Said who also has directed a banned film named Dukun back in 2007. 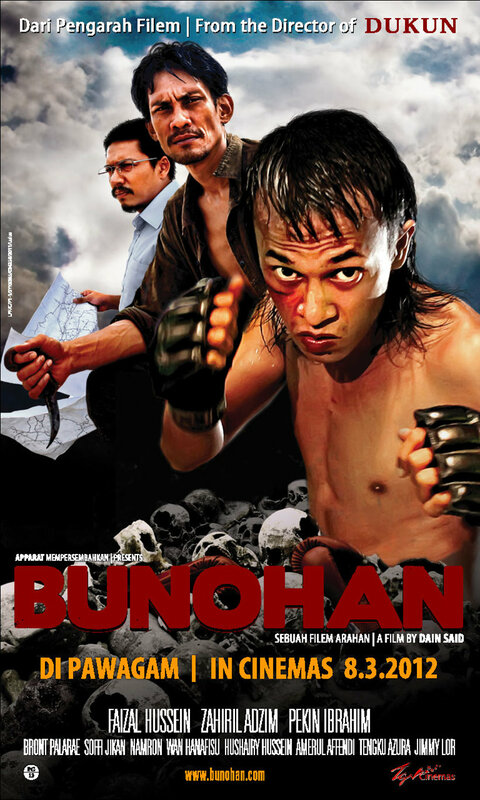 Bunohan will be released in cinemas throughout Malaysia on the 8th of March, 2012.
hmm interesting, most likely wont catch this though. But from the trailer it looks quite interesting.